Studies have shown the recent trend of indoor entertainment and various electrical technologies have an increasingly negative impact on children. The multitude of gaming consoles, the plethora of new children-oriented television channels and the emphasis on technology for every single activity directly correlates with overall poor health. So, how can you lure the kids outside or pry your kids away from all of these devices? Take them to the great outdoors! Encourage your kids to stay active and inspire them to get up and moving, and to try some of these fun lake or outdoor games and activities for your whole family. 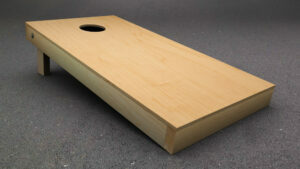 Also known as bean bag toss, is a yard game that’s simple and fun for everyone. Two boards with holes in them are lined up a set distance away from one another and people take turns trying to ring the hole with the bean bags. A bag in the hole scores 3 points while a bag sitting on the board is worth 1 point. Players takes turns throwing and the first to reach 21 points is the winner! For younger children simply move the boards closer together, lessening the difficulty of the game. This simple and fun outdoors game is good for children and family members as well. The game rules are pretty simple and can be enjoyed especially if you are near a lake and trees. To start out, choose who will be “it” by drawing straws, rock, paper, scissors, or any other similar game. The one who is “it” will then run around trying to tag anyone else playing the game, or trap them in the light of the flashlight. While this may sound a bit cliché, it nevertheless proves to be one of the best outdoor activities for the kids and family. If you are near a lake, you probably won’t need to visit any camping site or forest parks to do animal or bird watching. This is because you can find many wildlife species around the nearby trees and many fishes in the lake itself. There may also be turtles, beavers, or frogs just outside your back porch! In addition, you may also be able to hear the chiming of birds during the evening which proves to be relaxing for both kids and elders. Who doesn’t love to go on adventures and quests? What’s good about scavenger hunts is they involve physical activity and this means you and your kids will get a lot of exercise and fun at the same time. 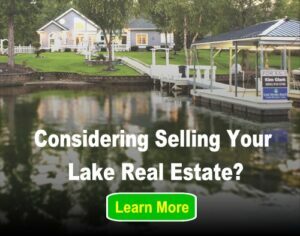 You can plan out the route first and perhaps take a tour around your nearby lake. However, prior to the game, warn the kids to avoid things like prickly plants, poison ivy, and sumac which might be lurking in the trees around your lake. So, now that you are familiar with the games mentioned above, getting your kids to leave their electronic devices and play outside for a change won’t be a problem. You could also designate an area in your yard to set up a simple pole for a game of horseshoes. Use your imagination, and talk to your kids about their favorite activities in order to make getting outdoors more fun for the whole family! Next post: Home Improvements – Where Should You Start?